Huge Savings Item! 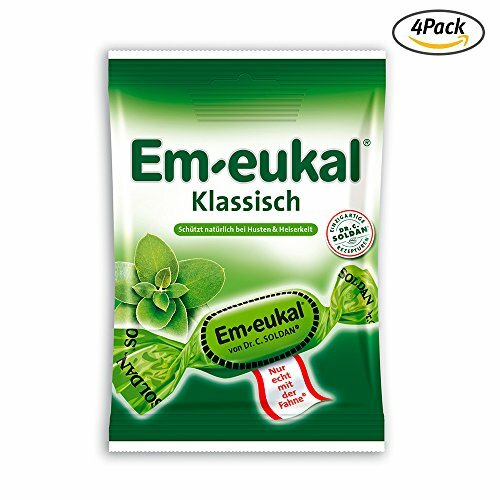 Save 13% on the EmEukal Classic throat cough lozenges 75g 4Pack 68Drops by Em-Eukal at HQ Health Blogs. Hurry! Limited time offer. Offer valid only while supplies last. Ingredients: sugar; Glucose syrup; Caramel; Menthol; Eucalyptus oil. classic drops are perfect for relieving minor everyday throat irritation such as dryness, hoarseness or scratchiness. If you have any questions about this product by Em-Eukal, contact us by completing and submitting the form below. If you are looking for a specif part number, please include it with your message.